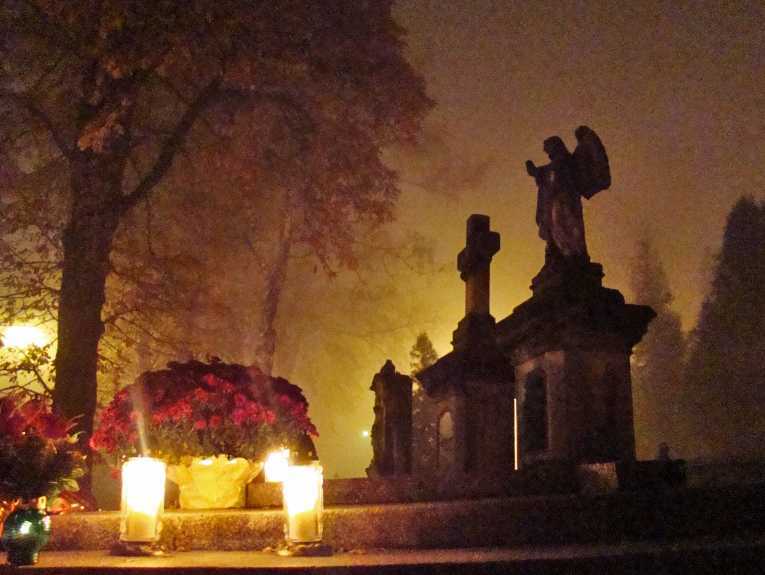 Roman Catholics worldwide observed All Saints Day on Tuesday and All Souls Day on Wednesday, days on the liturgical calendar set aside to remember deceased loved ones—to visit their graves and to pray for their time to be shortened in what Catholics believe is a place called Purgatory. “Part of the Church’s teachings, when you pray for the dead and go to the cemetery, you actually gain indulgence. There’s indulgence when you pray for the person who died,” Roy Bellen, head of the Archdiocese of Manila’s Archdiocesan Office of Communications, told the Philippine Inquirer this week. An indulgence is defined as an “extra-sacramental remission of the temporal punishment due, in God’s justice, to sin that has been forgiven, which remission is granted by the Church in the exercise of the power of the keys.” Catholics believe that not all those saved go directly to Heaven upon death, but some are held in Purgatory, where they must have their sins purged for an unknown period of time. Some observe All Saints Day or All Souls Day by bringing food or other goods once enjoyed by the deceased to the grave site. “The offerings would also include, apart from favorite foods of their departed family members, wine, alcoholic beverages, tobacco, cigarettes and other items the deceased had enjoyed when he or she was still alive,” the Manila Bulletin outlines. “Members of Poland’s tiny Roma minority enacted a tradition of their own, drinking vodka at gravesites,” the Associated Press reports. But Mike Gendron, a former Roman Catholic who leads Proclaiming the Gospel Ministries in Plano, Texas, told Christian News Network that such practices are unbiblical. He said that the notions of Purgatory and the obtaining of indulgences to assist a loved one in Purgatory also are unscriptural. He noted that it was the offering of indulgences that sparked the Reformation nearly 500 years ago.